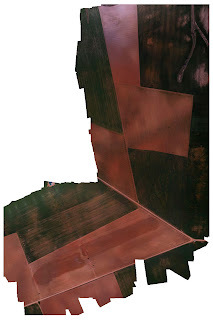 The use of aerial imagery in agriculture has been performed since the 70s, firstly using satellite imagery, then with images taken from aircraft and recently by means of drones. The improvement in the profitability has come from two sides: one by the immediacy of the data and another the cost of the image per hectare. 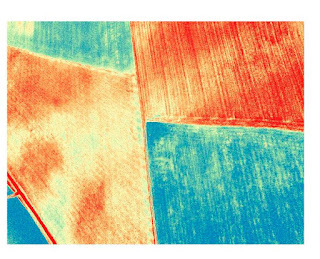 Aerial imagery can't be standardized for all crops, because an olive is very different from a garlic, or a vine from barley. Depending on each crop you have to take the images at a certain height and you have to carry out an appropriate image processing. Make the flight to take the photos. Computer processing of all images (it is the most expensive job because it takes many hours). The test consisted of flying about 60 hectares of various crops (cereals, garlic and pulse vegetables) to 120 metres high taking pictures with two types of camera: RGB camera (which captures the visible spectrum of light for the human eye) and NIR camera (showing a band of light near the infrared). The chlorophyllic activity of plants reflects more light in this near-infrared spectrum (and invisible to the eye). Through the cameras and mathematical calculations, we will obtain the intensity of this activity and therefore a vision of the health or vigour of our crops. With the pictures taken, we created two crop maps (figure1: with the RGB camera and figure2: with the NIR camera). The maps are very small (their original size is approximately 14,000x21,000 pixels). This large size allows us to zoom in and see in detail the areas we need. In the first map, we clearly detect zones with different growth. The second map is the result of treating the images with the computer applying the formula NDVI (Normalized Difference Index of Vegetation). This index is represented by a colour gradient that shows the difference in vigour of the plants, ranging from dark green (optimal growth) to red (no vegetation). In the next map (Figure 3) we have marked several areas of interest (zones 1, 2, 3 and 4). We can clearly see that they have a very unequal growth, so we should find out the causes. First, we should go to those areas and do a visual examination (excess or lack of watering, if caused by an animal such as rabbits, wild boars, ... ). If the cause is not discovered, the best option is to do some soil and leaf analysis to know the needs of our crops. We have marked other areas of interest (zones 5 and 6) that appear in red (if we only saw the photo, we could think that there is nothing cultivated, but in this case we know that there are grown garlic and pulse vegetables). 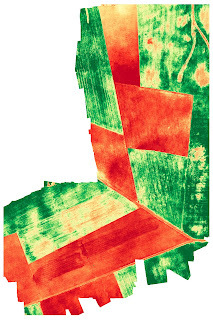 Looking at the map RGB we see that they are cultivated, but it is seen more ground than green zone (the crop is in an initial phase of its growth), reason why to obtain an optimal results in the maps, in this type of crops it would have to fly at a lower height to be able to better capture the plants and use another type of index colour. With the same images used to create the map we have used another index (without soil features) to make the image number 4. Even when the flight height is not optimal, we can see the difference of the result with uneven growth. The last post was about how to plant 50 olives using the traditional method. We already explained that it is not an appropriated method for larger fields since it is really complex (and expensive) to make a plantation by making measurements manually. On this occasion, we have used the new technology, which undoubtedly made our work much easier. 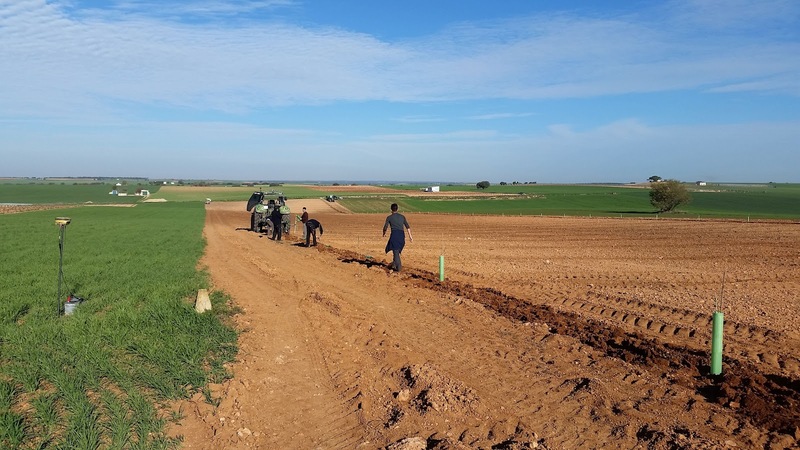 We planted a field of 3 ha where we placed 542 olive trees. The plantation frame has been 7x7 meters (it is the most common frame for dry fields). The variety used is Picual, since in our area we are obtaining very good yields. Besides, 10 olive trees of another variety (in this case Hojiblanca) have been placed among the rest of the olive trees to have a correct pollination. As you can see in our video and photos, a tractor (Deutz-Fahr 6160P Agrotron) with autosteer by GPS has been used together with a subsoiler that opens and closes the groove to allow us to plant the olives with great efficiency without having to do anything else. The job was fast and simple ... it took about 3 hours. 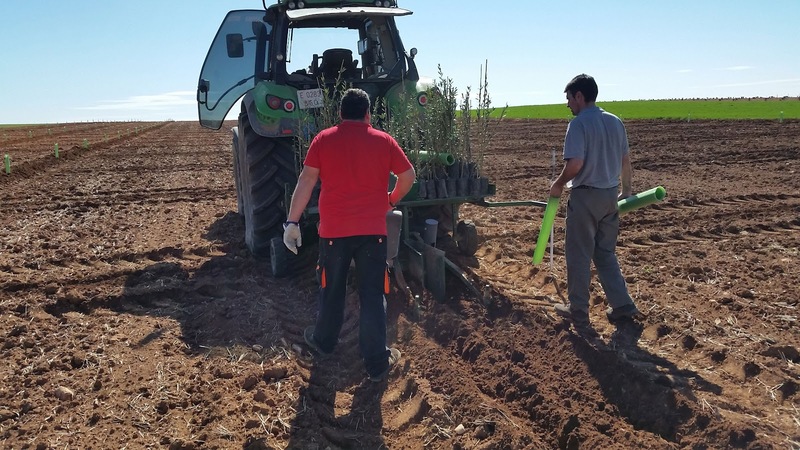 As Marco, who planted the olive trees, told us (from the farming services company Los Mudis) their record has been planting about 1,200 olive trees in only one day (the tractor works at 1.4 km/h). We are sure that if we had planted enough olive trees, they could have beaten their record. In the following paragraphs, we will talk about olive cultivation, making a small introduction of its importance in Spain. Spain is in the first place in the world in land and production of olive oil. Spanish production has approximately the 60% of EU production and 45% of world production. The area devoted to this crop is about 2.5 million hectares. Of these hectares, the 28% is cultivated in irrigated fields. The average production is around 1.5 million tons (in recent years, average production has grown considerably). We must also mention that this crop is characterized by being an “alternate bearing crop” which refers to the tendency of an entire tree to produce a greater than average crop one year, and a lower than average crop the following year. Castile-La Mancha: 358 thousand ha. In general, we can say that the olive tree has a growing season which is established between 0 and 14 years, depending on the varieties. And then, it begins its production that has a useful life of approximately 150 years. 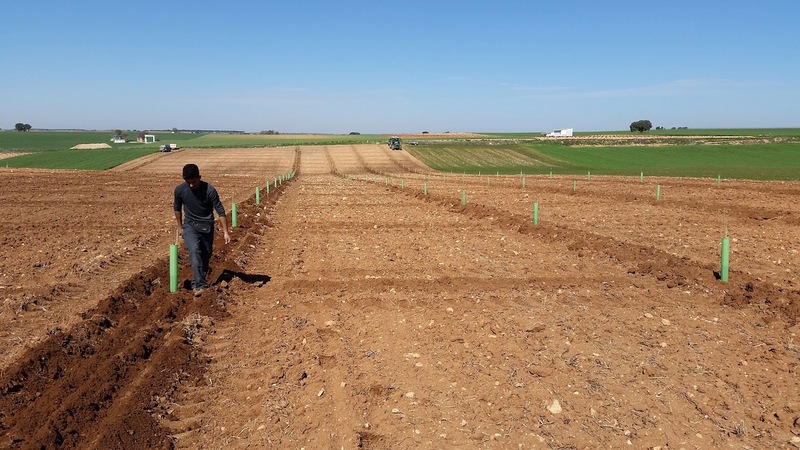 The traditional olive grove that had 80-100 trees/ha has practically disappeared and it has been replaced with an intensive system which has densities between 200 and 500 trees/ha. 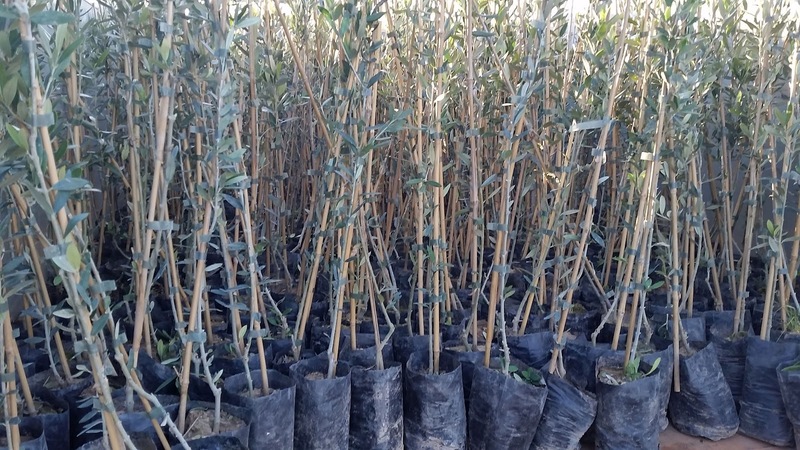 The normal plantation is 285 olive trees in a frame of 7 x 5 m for irrigating fields. A full production is achieved at the age of 7 years old with yields between 8,000 and 12,000 kg/ha. The fertilizer is performed thanks to the fertigation. 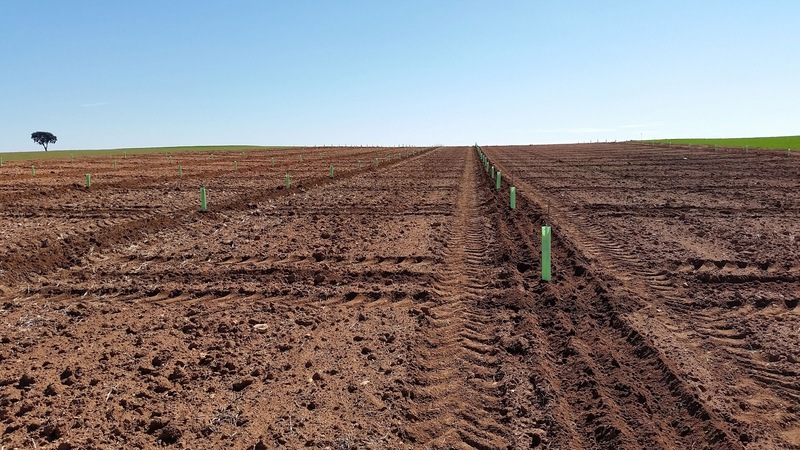 For non-irrigated fields, the most recommended frame is 7x7 meters, with a plantation of about 190 olive trees per hectare. 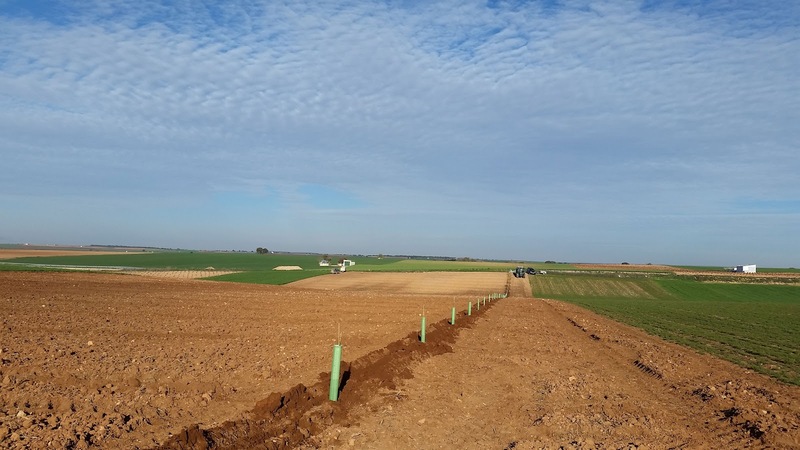 For some years now, super-intensive plantations have been carried out in hedge (7x3.5 meters and even 7x1.75 meters), with densities of more than 1,500 trees/ha in irrigation, which have production from the third year and production at the age of five years old. The useful life of these plantations is around 15 years. With this technique, the production in the first years is between 10,000 and 14,000 kg/ha. It is very important to control the vigour of the trees by pruning and nitrogen fertilization. In the plantations of super-intensive in hedge there is the technique of thinning plants from the eight year, reaching an intensive plantation of 7x5 meters after about 12 years. The environmental, climatic and soil demands of the olive tree are related to the conditions characterized by dry and hot summers and cold and slightly humid winters (250-450 mm annual rain). The olive tree is specially adapted to the rainfed land and thanks to the conformation of its leaves the water loss is minimized. This tree bears high temperatures in summer, up to 40 °C if there is enough humidity in the soil, and up to -12 °C in full winter rest. The floral induction takes place in summer period and at the end of winter or early spring the differentiation of the buds begins. In spring, with temperatures of 10-12 ºC, the vegetative development begins, inflorescences and flowering occur with temperatures between 15 and 18 ºC with the previous year wood. In summer, with temperatures of 35-38 ° C a dormancy occurs. Regarding edaphic requirements, the olive tree is an absolutely rustic plant, which extends over all types of soils, including low fertility, although it prefers deep soils with deep drainage, since it is very sensitive to prolonged watering. It bears the salinity and elevated levels of limestone without problems, which makes very frequent its cultivation on calcareous soils of the Mediterranean area.